What: Overview of Henry Coe State Park. Where: in the Diablo Range, southeast of San Jose. When: 1984-present; more than 270 visits, including dozens of multi-day trips. 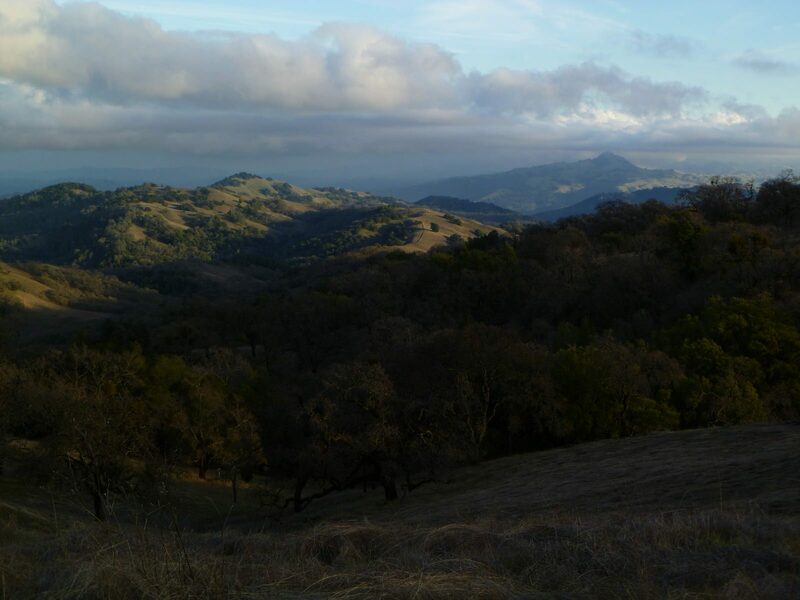 Highlights: Big area to hike in, camp almost anywhere, few people, rugged terrain, classic California oak savannah habitat. The park is a one-hour drive from our house. We can hike all day and frequently not see another person. There are many route options from 20 mile day hikes to backpacking trips of up to 80 miles. The landscape is beautiful. The birds are interesting and we have been studying them and recording occurrence data since we started birding in 1984. The hikes we take are mostly on trails, but it is physically demanding due to the mountainous terrain. We love it there, and we call it our park. We are providing only a single trip report to provide a bit of flavor. Otherwise, go explore the place on your own. 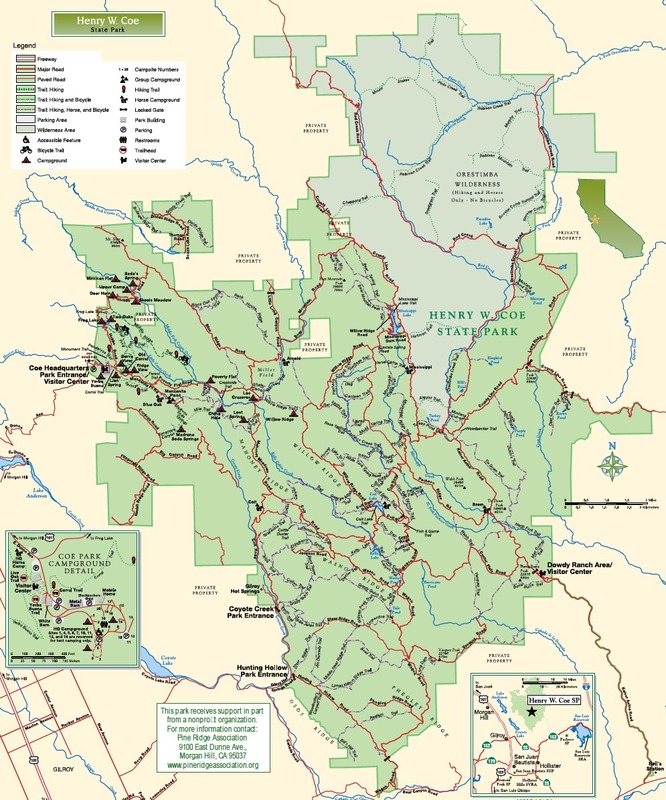 Henry W. Coe State Park Map is an exceptionally high quality waterproof topo map showing all trails, springs, and other points of interest. The very active Pine Ridge Association volunteers staff the park visitor center, maintain springs and trails, and host events for visitors. The Association reports on current Trail Conditions. For current status of springs, ponds and creeks follow the links in the upper right of their Water Resources in Coe Park page. CA Department of Parks and Recreation website is somewhat less useful than the Pine Ridge site. The downloadable park brochure includes the overview map shown below. Wikipedia has a good summary of the history, geography, and ecology. The Fire in Coe Park website documents a major fire in 2007. The progression of images on the panoramas tab is fascinating. Download the Park Brochure, which includes this map, from the State Park website. This park is like a second home for us. We have bird checklists for 244 trips to Coe, which means we’ve spent 300-350 days hiking in the park. Henry Coe State Park has perhaps 200 miles of old ranch roads like this one, which makes for great hiking and cycling. The park has trailheads at the NW and SW corners. 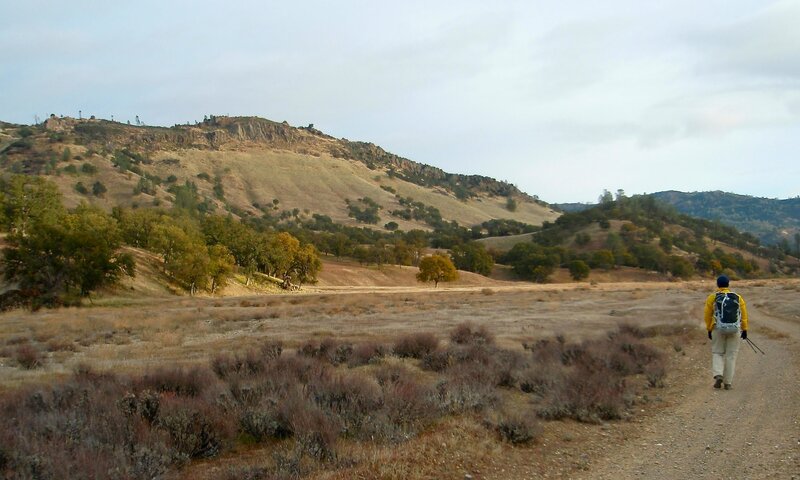 There is also access from Highway 152 at Bell Station, although it is 7 miles from the Bell Station parking area (through uninhabited ranch land) to the border of the park. Private vehicles are not permitted inside the park, although some of the dirt roads are maintained as fire roads. Orestimba Creek bed and Rooster Comb Ridge. During heavy winter rains, the entire bed of this creek will flood. 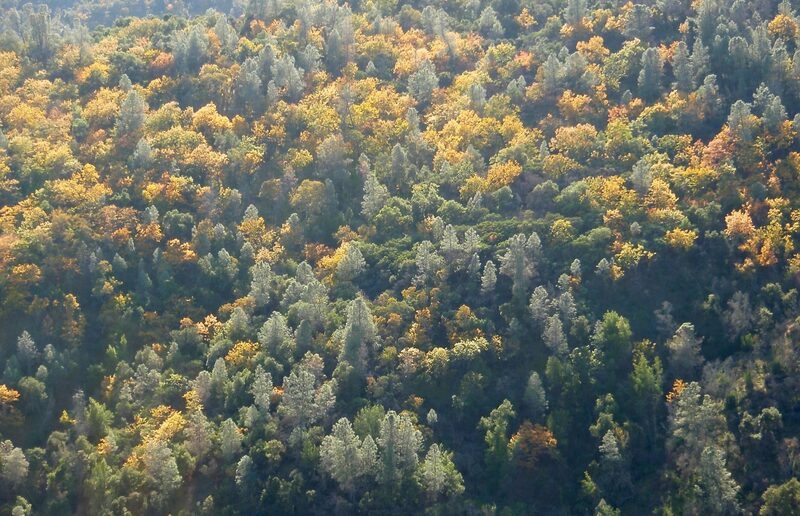 An area of the park with dense oak stands (with some Gray Pines), including lots of Black Oaks in autumnal colors. I have never had a bad day at Coe, and I never tire of going back again and again. 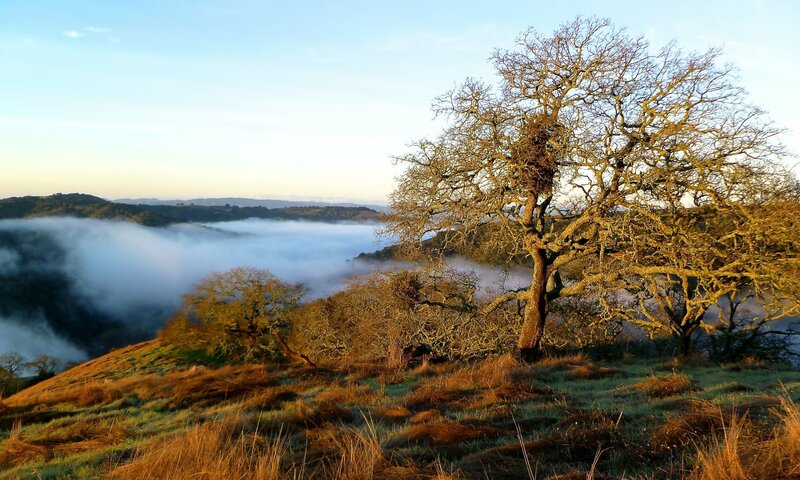 The trails are accessible, the oaks and grasslands are interesting and pleasing. There is solitude and a great sense of space. We have spent so much time there that it is very familiar, but never dull. This is one of my favorite places to go walking. I really enjoy the solitude found in such a large park so close to home. While the park is not visually grand like the Sierra, it is always a subtly satisfying place to go. There are so many fine sweeping views. The sycamores along the creeks are beautiful. The oak woodlands are very attractive and the spring wildflower displays can be fabulous. A full day’s walk is always a good workout. I have never gotten tired of traveling there. 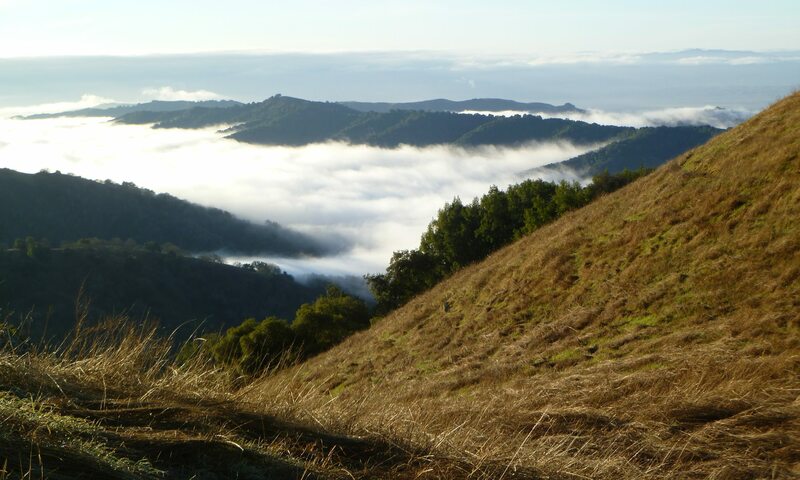 With 89,000 acres of land, Henry Coe is a large contiguous area for hiking convenient to the San Francisco Bay Area. Park headquarters is at the end of the road in the northwest corner of the park; otherwise the entire park is accessible to the public only by foot, bicycle, and horseback. The plethora of ungraded old ranch roads makes a terrific network of trails. There are a few graded dirt roads in the park that are used by maintenance staff, and very occasionally a vehicle is present in the backcountry. 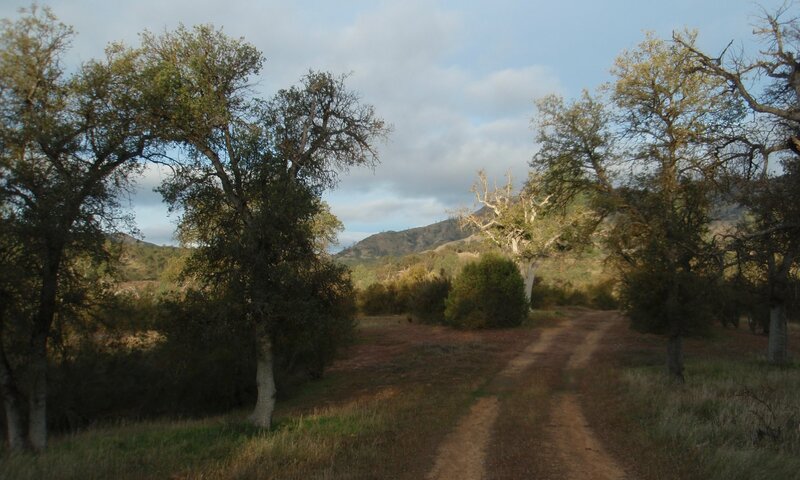 The northeastern region is designated wilderness, however even there the trails follow old dirt ranch roads. The Park allows you to camp nearly anywhere and finding good campsites with great vistas is easy. 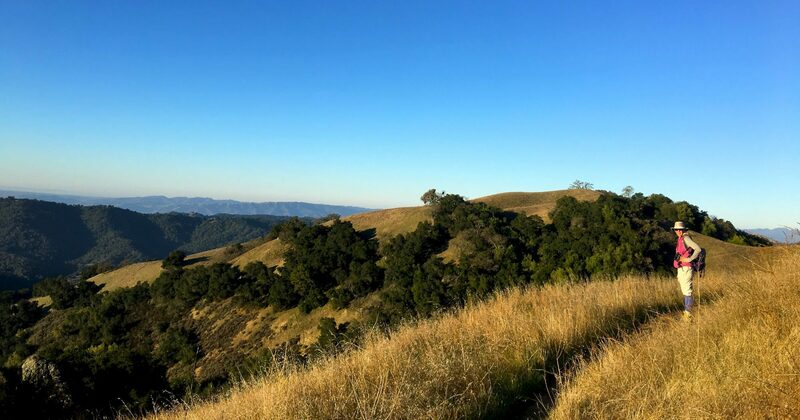 This is the only park in the Bay Area that does not limit camping to designated sites, and is therefore the best local option for hikers who do not engage in stealth camping. 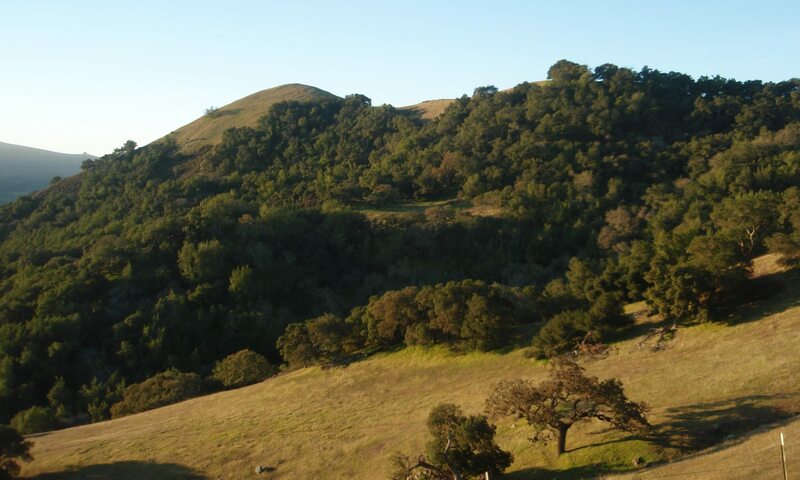 The habitat is predominantly oak woodland, oak savanna, oak-pine savanna, grassland, and chaparral. In the northwestern part of the park there are stands of Ponderosa Pine. Coe was grazed by cattle in the past, but the cows were removed when the park was established. The habitats have not been trashed, and except for the Grizzly Bear, essentially all the species that were there when Europeans arrived in California are still present. The park is a thirty minutes drive from San Jose, yet it is very lightly used and finding solitude is not a problem. On three occasions we have seen Mountain Lions in the park. Elk have been re-introduced. We see coyote and bobcat with some frequency. There are introduced wild pigs that have been digging up the place, but the park has an active pig removal program and the problem has significantly diminished. Ticks are common in the spring and peak in May. Tarantulas emerge from their burrows in mid-autumn. Water is scarce particularly during the dry season from June until late autumn. Most creeks dry out completely during the summer, but there are mapped springs that have water all year. The park is quite rugged with lots of elevation gains and losses. On a typical day, we will walk between eighteen and twenty miles and gain between 4,000 and 6,000 feet. Many of the ascents have steep sections and are on exposed sunny ridges. Although the maximum elevation is below 3500 feet, do not underestimate the walking, particularly in warm weather. Hiking can be good year round, but spring and fall offer the best weather. It can be uncomfortably hot in the summer. Winter is great for hiking unless it is stormy. It does snow in the winter and once in March we hiked in a sudden snowstorm that accumulated on the ground. Off trail hiking is possible. Travel ranges from relatively straightforward walks through open oak-savanna habitat to horrid chaparral thrashing. Seldom used trails overgrow quickly. Following creek bottoms is also possible, but water levels can be high and occasionally impassable immediately after a winter storm. The grassy areas are full of seeds that will stick in your socks if you don’t use gaiters. When the air over the Central Valley is clear, great views of the Sierra Nevada are available from some of the ridge tops. Once, we chanced on exactly the right place and were able to see the face of Half Dome in Yosemite Valley. From some places in the park, you can also see Monterey Bay and the Santa Lucia Mountains further south. Be extremely careful with fire; the park is highly combustible and has burned in the past. There are four legal access points to the park. The first is at Park Headquarters at the terminus of East Dunne Avenue where there is a drive-in campsite and a staffed visitor center with a small historical museum. Headquarters is at 2700 feet at the top of a ridge. Any long hike from HQ into the main portion of the park will require significant elevation gain at the end of the walk so plan accordingly. There are two access points on Gilroy Hot Springs Road. The first is the large parking area at Hunting Hollow. The second is about two miles north at the end of Gilroy Hot Springs Road. It is not legal to park at the end of the road, and there is space for only one or two cars there anyway. 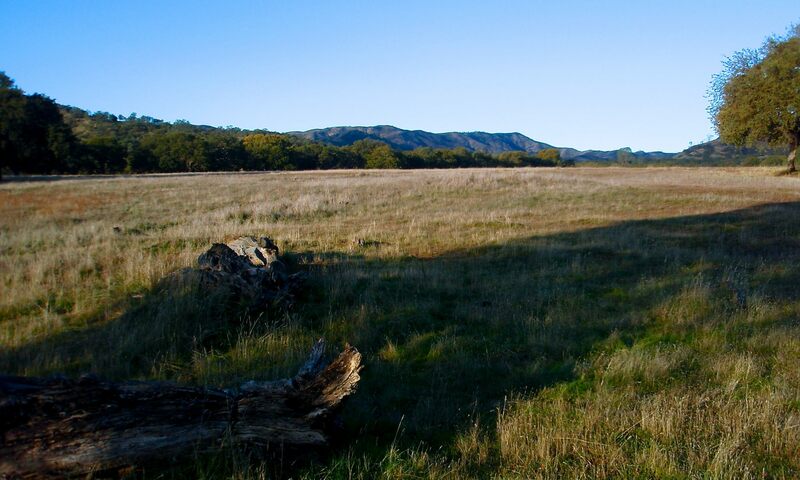 It is a pleasant walk along Coyote Creek from Hunting Hollow to the road’s end. Both access points are at low elevation, so a hike from here will finish with a descent. The fourth is an entrance off Highway 152 at Bell Station. Here there is a parking lot and a visitor information kiosk, but we did once find a warning note from the CHP when we left our car there on an overnight trip. From the parking lot is it roughly a six-mile walk up the gated dirt Kaiser Aetna Road to the park boundary. This road is a park easement and so it is legal to walk in, but property outside the road corridor is private. The walk along the road to Dowdy Ranch is beautiful and has sweeping views. This is a nice description of the favorite State Park for my wife and I. We spent two nights there last week. On Sunday we saw a huge Golden Eagle right over us. Two things to mention about the park, first, the bass fishing in the eastern (remote) reservoirs is very good, in fact, most of the ponds in the east are over-stocked with 10-12″ bass. Second, many of the road trails have some very steep sections-some exceeding a 20% grade. It’s important to plan your miles per hour with this in mind. “The legality of parking at the end of [Gilroy Hot Springs Road] is unclear…” — not any more. Enforcement stepped up last summer, after some incidents and still continues. Parking citations have been issued more regularly than in the past. In fact, I’d advise being careful not to leave valuables in the car at Hunting Hollow; my car got broken into there about five months ago (rear driver side window smashed in). Thank you for clarifying. We will update the article when we are back home. Sorry for the delay, we have been on a long hike without access to internet.